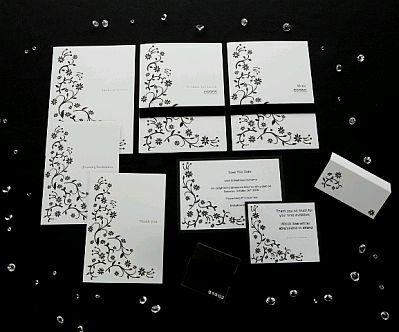 You have everything ready for your wedding celebration in black and white, now only need to do this part of your guests, surprise them with an invitation that reflects the style of your marriage, this means, with a card made in White and Black . 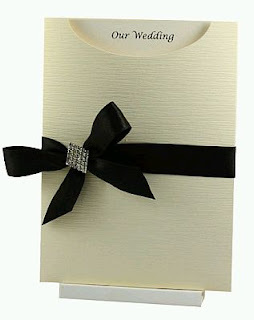 The first model presents a wedding invitation card, black and white, with a black tie with metal clasp. 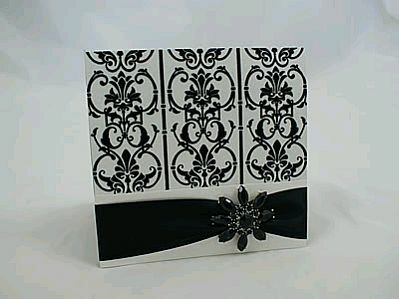 If it is delicate and elegant, this is a good idea, it is a white or off-white on, tied with a thin tie with brooch lead. The black and white cards are not only stylish, it also can be very youth, as evidenced by this wedding invitation decorated with flowers and black ribbon on a white background. 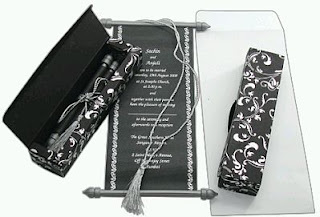 The previous model seen inside. On the other hand, if you prefer the original, it is also a good idea that your guests receive this package and open it find a scroll with all your wedding information. 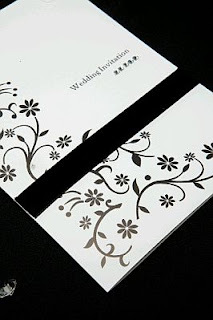 Beautiful card for a wedding invitation in black and white, as it is elegantly designed and decorated with these colors, but also adds gray tones are very good. 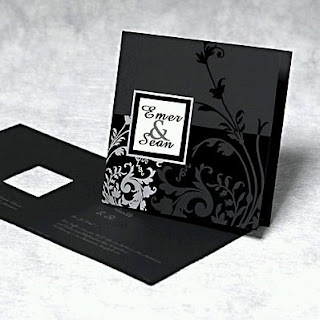 If you like the idea of ​​flowers, this presentation of wedding invitation card is very good choice, complement the design a thin black tie. 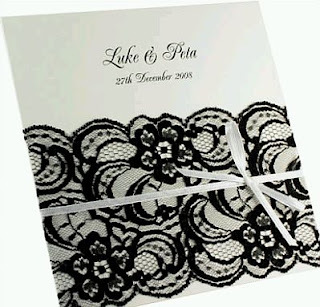 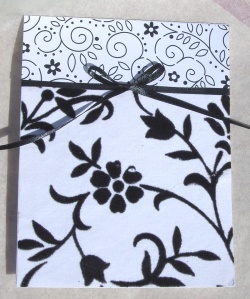 If you incorporated into your decor using lace, this card is the one. 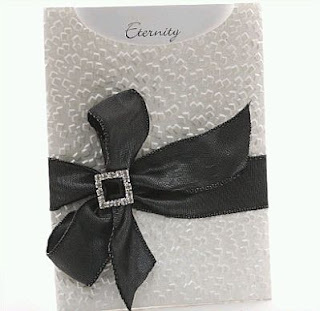 Similar to a previous model, except that the loop tape and have much more presence. 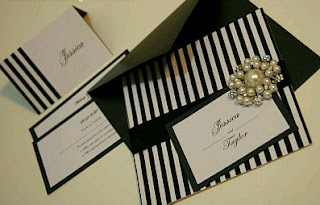 Finally, if you chose the decor in white, black, and stripes for your celebration, these cards can give you an idea of ​​how good they look together.